Perhaps it's because in December 2011 that David Cameron claimed a "phantom veto" and the media let him get away with it, that the Prime Minister now thinks he can bring back a piece of paper from Brussels and pretend it is a treaty. So far, his gamble seems to be paying off – at least as far as the media goes. I've not seen any articles calling out Mr Cameron out as the liar he is for representing his settlement as "legally binding". According to Philip Hammond writing in the Guardian, "the package is legally binding and irreversible". At its heart, he writes, "is an international law decision, a type of international treaty that will be registered at the UN. It cannot be amended or revoked unless all member states, including the UK, agree to it". But Hammond and his boss, Mr Cameron, are relying on the "Decision of the Heads of State or Government, meeting within the European Council, concerning a new settlement for the United Kingdom within the European Union". And the document itself claims that the decision is legally binding (page 2). As for the media, it is largely giving him a free pass. The Independent, for instance, is stating on the protection for non-euro countries: "promise delivered". And on the question of "ever closer union", it declares that, "it was never clear whether this would have any legal effect, but the promise has been delivered". When it comes to the BBC, it is even more definite. This, it says, "has to go down as a win for Mr Cameron, with the commitment to exempt Britain from "ever closer union" to be written into the treaties". The amateurism of the appraisals we have seen would be stunning, were our expectations not already so low. Combine this with a docile and largely ignorant political class and we have a situation where the Prime Minister is perpetrating a fraud on the British people, and is not being held to account. This, I regard as totally unacceptable. It cannot be allowed to stand. Therefore, what I propose to do it to continue with the analysis we started in Part 1, continuing in bite-sized chunks until we have a complete "take" on the settlement. At some point in this process, we will pull the different posts together into one .pdf document, which we will add to until we have a single, clean report, accessible to all as a campaign resource. As with Flexcit, anyone is free to use it. Whether they do is up to them. Picking up where we left off with Part 1, we return to the European Council Conclusions and go to Section A on economic governance, which starts on page 12. Here, we have to make the same observation that we made in Part 1, as the provisions of this "decision" rely, according to the text on page 15, on their substance being "incorporated into the Treaties at the time of their next revision in accordance with the relevant provisions of the Treaties and the respective constitutional requirements of the Member States". With this in mind, we again have a conditional deal. The provisions relating to economic governance can only have binding legal effect once they are "incorporated into the Treaties". Until then, this is a promissory note. Crucially, though, there is an issue here which is being ignored or missed (take your choice). The "decision" is not being made by the European Council – an institution of the European Union, and bound by its procedures – but by the Heads of State or Government. 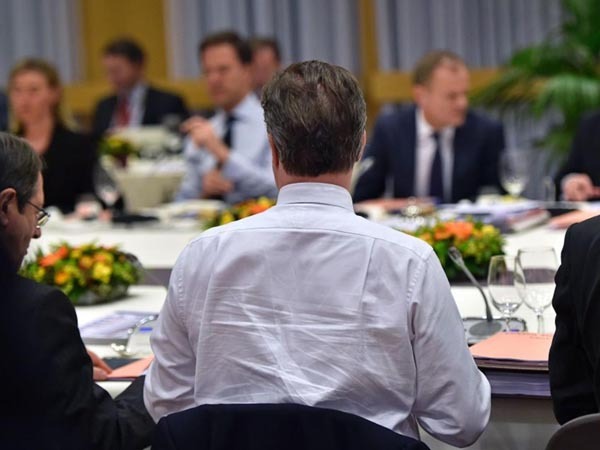 They are acting as an intergovernmental forum outside the EU treaty framework. In this, there is no room for equivocation – and there is no ambiguity in their status. In international law, there is no mechanism – and no possible allowance for – an intergovernmental body outside the EU treaty framework to make any commitment which is binding on the EU. We dealt with the legal position in Part 1, and what applies there, applies here, namely the provisions of Article 61 of the Vienna Convention on the Law of Treaties, and the dictum res inter alios acta vel iudicata, aliis nec nocet nec prodocet (two or more people cannot agree amongst each other to establish an obligation for a third party who was not involved in the agreement). In legal terms, therefore, the provisions for this "deal" have no effect. To represent the deal as anything other than aspirational is seriously to misrepresent the position. The short form term for that is "a lie".